New York City SHRM's Board enjoys a rich makeup of diverse professionals with one thing in common - the desire to serve you. Our Board members will gladly take the time to connect with you regarding our association and your involvement with it. Look below to learn more about the individuals who make New York City SHRM the association you rely on for insight and connections in the fast paced New York market. Chief Administrative Officer, Carl Marks & Co., Inc.
Chief Administrative Officer, Carl Marks, since 2004; Prior: Administrative Manager, Booz Allen Hamilton; B.A. State University of New York at Albany, JD, Potomac School of Law, Member State Bar of Georgia; Current: Co-President, Prior: VP, Website, Member of Membership Ctte, Directors' Forum, Managers Forum; Membership Director for NYS SHRM and SHRM member since 1997. President, HR Aligned Design. since 2010; Prior: Chief People Officer, BR Guest Restaurants; VP/Human Resources and Organizational Development, Morton's - The Steakhouse. BS Hotel and Restaurant Management, Cornell University, School of Hotel Administration. Current: Co-President. Prior: VP, Communications, Former: Chair, Social Media Ctte, Assistant Secretary & Co-Producer Speaker Select Series, Program Ctte Member. SHRM member since 1995. Former Director – Talent Management, Baker Tilly. Prior: Vice President, SRI/Strategic Recruiting Inc.; Executive Vice President – Human Resources, Headway Corporate Resources; Senior Vice President – Human Resources, Insignia Financial Group. BS – CUNY-Queens College – Accounting, Economics, Information Systems. Current: VP, Finance & Treasurer, Member – Directors' Forum. SHRM member since 1989. HR Consultant and Adjunct Professor at CUNY. Prior: Sr. Talent Acquisition Manager, Kroll, Adjunct Professor, Baruch College; Northeast Recruiting Director, Ernst & Young, LLP; Director, The Conway Organization. BA English and Psychology, Queens College; MBA Industrial Psychology, Baruch College; Certificate in Career Counseling, NYU; DDI Certified, Member of YAI Business Advisory Council; Board Member of PTACH. Current: VP, Programming, Chair, Career Planning & Professional Development SIG. SHRM Member since 1999. Executive Director of The Medical Group of Englewood. BA and MA from Cambridge University and MBA from the University of Chicago. Current: Vice President of Marketing & Sponsorship. SHRM Member since 2015. President, Career Bound Success, Inc.
President, Career Bound Success, Inc., Adjunct Professor at Baruch College and Guest Lecturer, at several universities, on career topics. Prior: Director, Human Resources, Leading Hotels of the World; Director Human Resources, TV Food Network; Director Human Resources North America, Jaeger Sportswear. Hofstra Univ., BA, Social Science; Fairleigh Dickinson Univ., MBA, Human Resources; Cornell University, Advanced Human Resources Studies Certificate. Current: Immediate Past President; Directors’ Forum; Leadership Continuity & Staffing Committees; Prior: Director; Board of Director Secretary; Chair, Directors’ Forum; Chair, Breiger Committee; University Relations, Benefits, Compensation, Career Planning, Employee Relations/EEO, Networking Committees. SHRM member since 1991. HR Manager at Say Media; Prior: Campus Recruiting Manager at Booz & Company; Assistant Director, HR & Recruiting at the College Board. BA in Psychology & Leadership Studies from the University of Richmond. Current: Secretary, Chair, Young Professionals SIG; Prior: Chair, GenXtraordinary SIG. SHRM Member since 2011. Lead Negotiator, FirstEnergy. Prior: Human Resources Strategic Business Partner, New York City Housing Authority; Board Agent, National Labor Relations Board; Community Development Institute; Council of NJ State College Locals. MLER, Rutgers University School of Management & Labor Relations. Current: Chair, Mentoring Program. SHRM member since 2006. 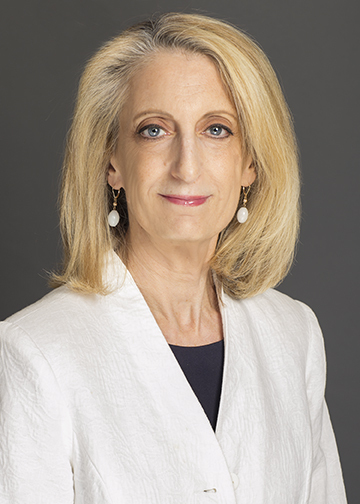 Principal, JLF Consulting since 2009; Prior: VP of Human Resources for The Clearing House, Sr. Director of HR for NYLCare; BA in Mathematics from Lafayette College; Current Chair of Directors Forum and mentor in New York City SHRM's mentoring program. SHRM Member since 1996. Managing Director, WhiteWave Consulting; Prior: Manager, Human Capital and Organization Effectiveness, Accenture, Organization Research Principal, Mercer Delta Consulting; PhD in Organizational Psychology from Alliant International University; Current: Director, Chair of NYC SHRM’s Organization Development and Change Management Special Interest Group. SHRM member since 2015. Human Resources Business Partner with 12 years of combined experience in the alternative asset management space, and for security/aviation subcontractor, Triangle Services, Inc. M.S., Human Resources Management from New York University. Current: Director, Chair, Membership (2014/2015 and 2015/2016); Committee Member, Volunteer Engagement; Committee Member, Leadership Continuity. SHRM member since 2007. VP Human Resources of B&B Hospitality Group. Prior: VP Human Resources, Thompson Hotels; VP Human Resources, Raffles Hotels & Resorts; Director Human Resources, Fairmont Hotels & Resorts; Director Human Resources, Taj Hotels & Resorts; Area Director Human Resources, Starwood Hotels & Resorts. MPS Hotel Management from Cornell University, M.A. & B.A. Delhi University. Current: Assistant Treasurer, Member Directors’ Forum. SHRM member since 2012. Executive Director for New York City SHRM since November 2012.